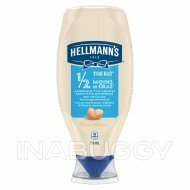 Hellmann’s OrganicTM is a deliciously creamy mayonnaise made with real, simple ingredients like organic free run eggs, organic expeller-pressed oil & no preservatives. We know that to really Bring Out The Best®, we need to do more than just taste great. That’s why our delicious Blue Ribbon Quality Mayonnaise is made with simple, quality ingredients. Even after 100 years, we’re still committed to using premium ingredients to craft the highest quality mayonnaise. It's simple. 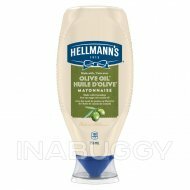 We use our finest, real ingredients in Hellmann’s OrganicTM. 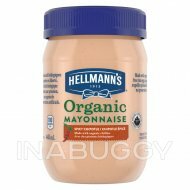 Our mayonnaise is a source of Omega 3 and is also gluten-free and certified kosher. 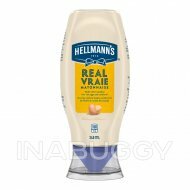 At Hellmann’s we care about amazing taste, which is why we are committed to making our products the right way: with real ingredients. 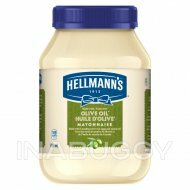 Enjoy the delicious creamy taste of Hellmann’s OrganicTM as a spread, or in a recipe, to elevate your favourite foods. 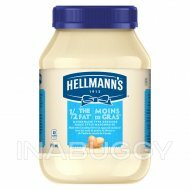 It’s the ideal condiment for spreading on sandwiches and wraps, grilling juicy burgers, mixing creamy dips, and preparing fresh salads. Use it to make outrageously delicious meals like our BLT with Avocado, our Lentil Citrus Salad with Goat Cheese, or our Hellmann’s® Creamy Sauces. 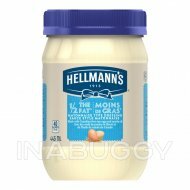 Discover our recipes, products, information about our sourcing, what we stand for and more on our website, Hellmanns.ca.